This is super short and sweet but my very first brand recommendation! I do most of my shopping online and I would like to recommend Handmade Naturals. 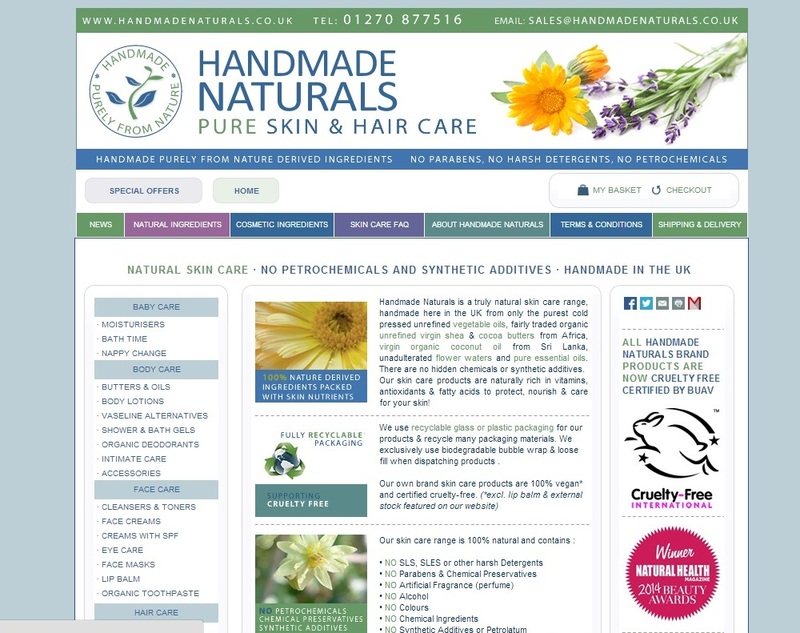 Products are handmade and free from undesirable ingredients such as parabens, pertrochemicals and SLS. I was drawn to Handmade Naturals not only for the ethics but prices are reasonable and the customer service is excellent. Rossi (the owner) is always willing to answer your questions or offer advise for a particular problem. At this time, I particularly like the shower gels and baby oils but I am sure I will review many more products from them in the future. Do you know of Handmade Naturals? Have you tried any of their products? Do you have a recommendation from their range?